In 2009 NCAT’s Farm to Cafeteria Network was formed under the mission of supporting vibrant local communities by increasing the amount of healthy, locally-grown food served in public and private institutions. 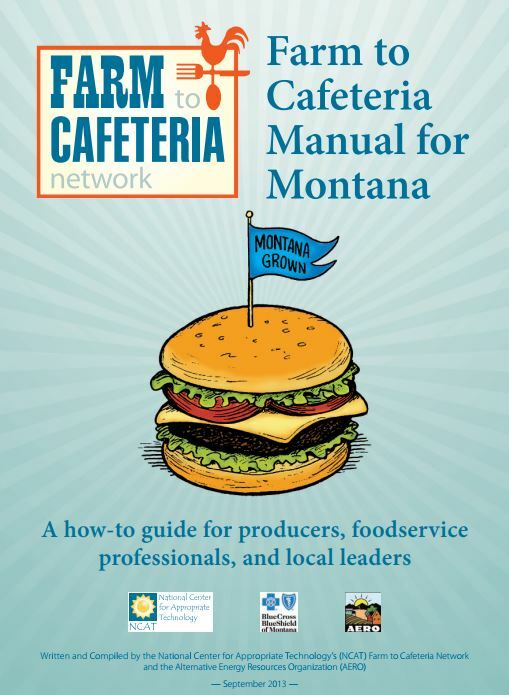 Five years ago, the Farm to Cafeteria Network produced its magnum opus, the Farm to Cafeteria Manual for Montana: A how-to guide for producers, food service professionals, and local leaders. The program has continued to see growth throughout the years as the movement towards healthy, locally-grown food has grown. Growth comes with new laws and regulations, and new strategies that improve healthy food access for Montanans. That is why our team is pleased to introduce to you the 2018 revised version of the Farm to Cafeteria Manual. In it, you will find sections that fit all stakeholders including producers, food service professionals, and community leaders. No matter what your level of involvement in the food system is, if you want to create a locally resilient food system, there is something in this manual for you!